Large tear drop leather look bean bag. 112" circumference (l35" x w34" x h27"). Green vinyl cover, double stitched, and has a child safe zipper. Tear drop shape provides extra back support. 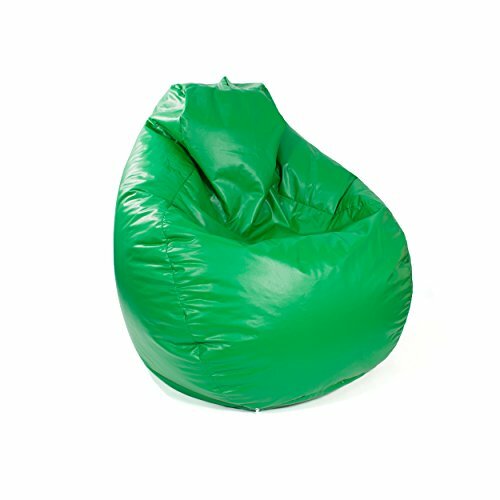 Durable bean bag has easy wipe down maintenance. Filled with virgin expanded polystyrene beans. Made in USA.